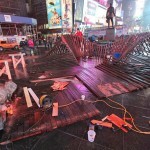 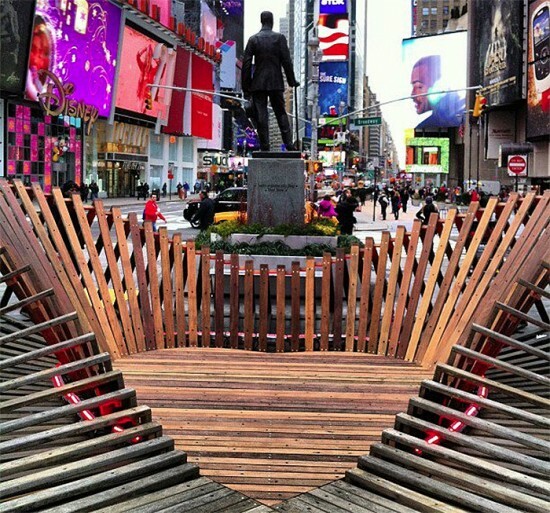 Just in time for Valentines Day, today the Times Square Alliance and Design Trust for Public Space officially opened Situ Studio’s Heartwalk, a heart-shaped installation constructed of salvaged boards that once made up the boardwalks in Long Beach, Sea Girt, and Atlantic City, to the public. 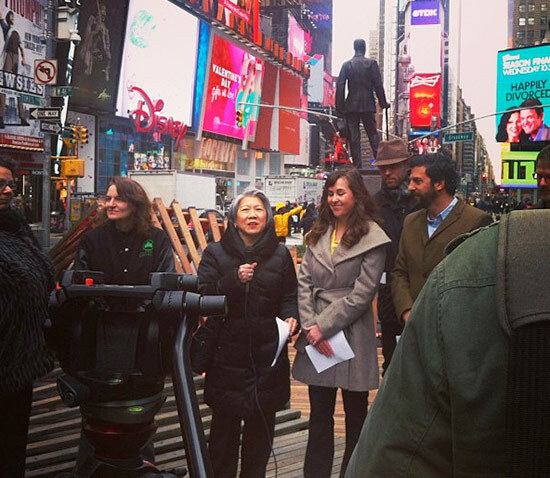 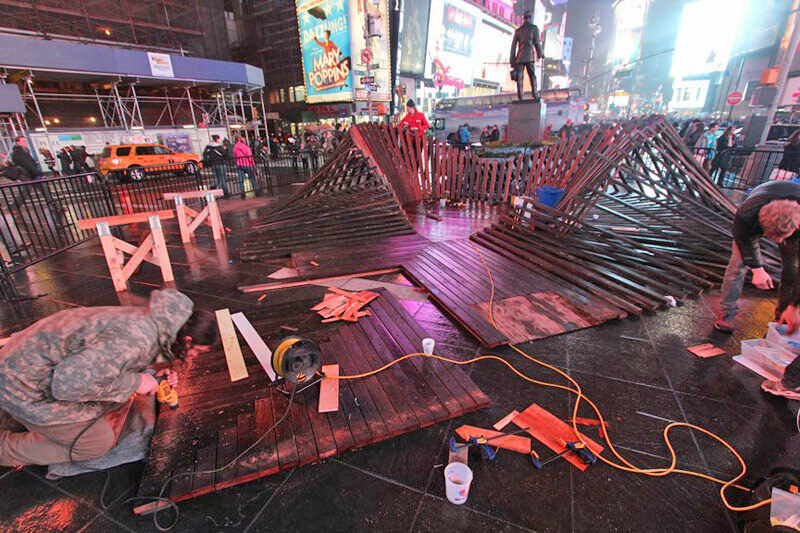 Heartwalk is the winner of the 5th annual Time Square Valentines Day Design competition, taking its cue, in subject matter and materials, from the “collective experience of Hurricane Sandy and the love that binds people together during trying times,” according to Times Square Alliance. 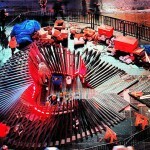 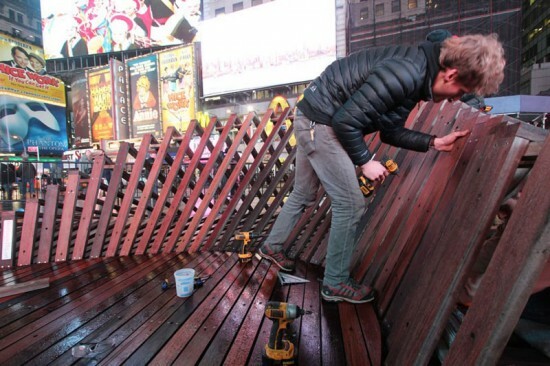 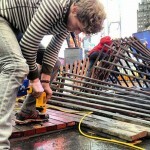 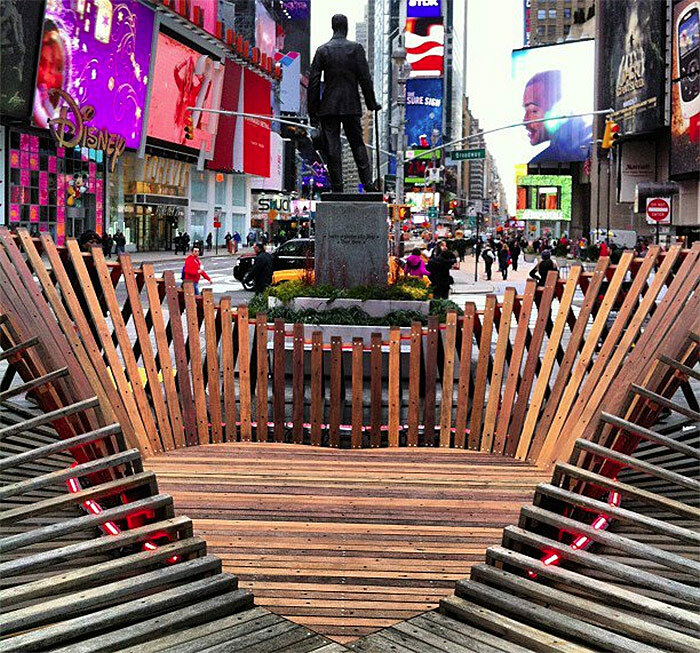 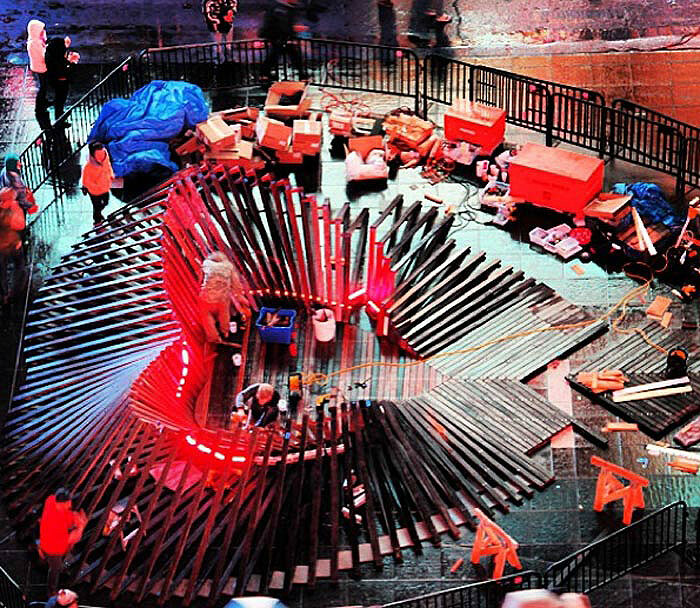 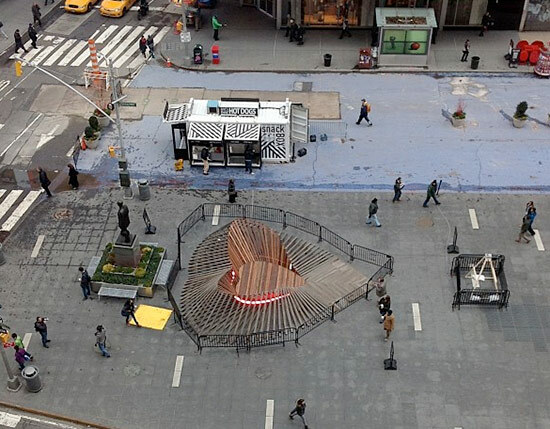 Check out the installation “in the heart of Times Square” through March 8, 2013.